A fire broke out early this morning at the Coachella Valley Music and Arts Festival, rolling through the fest’s shower area, as The Guardian reports. The fire started before 2am, with attendees posting footage of the flames on social media. In one clip, a festival safety official urges festival goers to “back up, back up” as a block of portable shower units flare up behind him. Other attendees claim to have heard “explosion sounds,” with one person allegedly fleeing the burning shower unit in a towel. Firefighters first arrived on the scene around 2am. The Riverside County fire department later said that “Firefighters responded to reports of a mobile shower unit on fire.” The fire department later said that the flames were contained within a half-hour, and that two trailers were involved—one of which was destroyed, while suffered structural damage. According to the Riverside County fire department, no one was injured in the incident. “Fire crews will remain on scene for one hour for overhaul,” the departments statement notes. 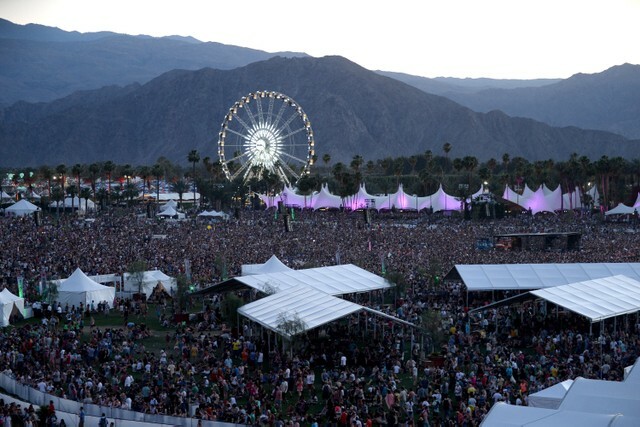 The Coachella Valley Music and Arts Festival takes place over the course two weekends, the first of which kicked off yesterday in Indio, California. The festival features headliners Ariana Grande, Tame Impala, and Childish Gambino, who premiered his new film Guava Island at the festival. The film is also available to stream on Amazon Prime Video for a limited time, and will be broadcast on YouTube’s Coachella livestream later today.